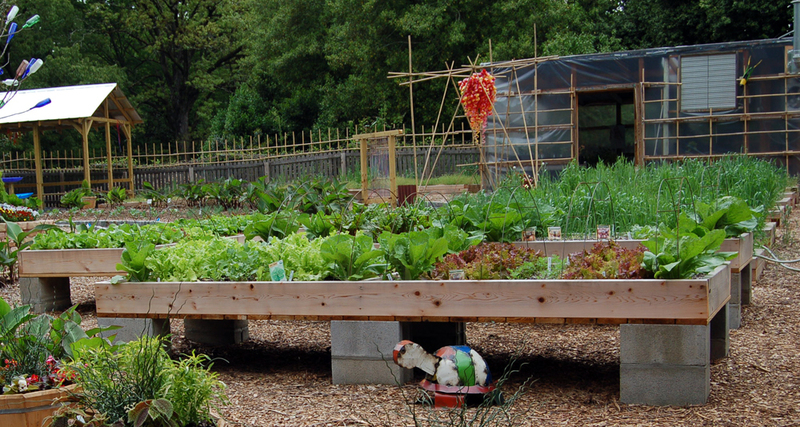 This spring, families and individuals will have an opportunity to work their own garden plots in the Gather ‘n’ Grow area in Kennesaw’s Smith-Gilbert Gardens (SGG). Along with growing space, participants will receive a seasonal membership to Smith-Gilbert Gardens, seeds, plants, fertilizer, cages, workbook and 10 educational classes. The cost is $150 per plot. Over 30 plots are available on a first-come, first served basis starting in April. The educational classes and one-on-one instruction will be provided by Head Gardener Shon Cameron and SGG Executive Director Doug Davis. Topics include composting, soil preparation, vermiculture, weed identification, good and bad bugs, insecticides, fertilizers and more! Education Coordinator Stefanie Haerynck will also be on hand to provide fun family activities like scarecrow making and fairy house construction. Classes will begin the week of April 8. Gardeners can choose to attend classes on Tuesday evenings from 6 to 8 pm or Saturday mornings from 8 to 10 am. To register, please call the Gardens office at 770-919-0248 or visit www.smithgilbertgardens.com.